Ariki is an incredible musician, music composer, studio engineer, and one heck of a funny guy. Originally from Auckland, New Zealand, Ariki first discovered his love of music while learning to play the bass guitar when he was just 16. Actually, this was also his first introduction to playing western music. So the moment all the other kids started blasting 80s and 90s R&B, Hip Hop, and Funk out of metallic boom boxes, Ariki knew he had found true love. His discovery of Parliament, Kool & The Gang, and The Commodores changed his life while music greats like Aaron Spears (drummer), Gerald Heywood (drummer), Justin Raines (bassist), and Abraham Laboriel (bassist) influenced his playing style. But it was not until he moved to Kauai in 2005 when things got real in the sand box and Ariki started playing drums as a result of a lack of drummers on the island. Several years and a bunch of drum solos later, Ariki became a founding member of Greenstone Project. The rest, they say, is music history. The “Maori Warrior” hailing from New Zealand, Ariki’s engineering talents are remarkable. With a degree in musical engineering and music composition, Ariki has proven to be one of the most valuable commodities in Greenstone Project. Besides engineering and recording all of Greenstone Projects musical ideas, Ariki owns and operates his own company called Dubb City Productions where he has recorded countless artist and corporate clients. 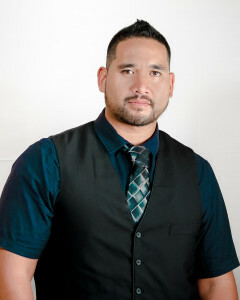 Ariki has wrote documentary musical scores for PBS Television, wrote music for Bethany Hamilton’s movie Soul Surfer, and music pieces for Kukui’ula Development, as well as lent his talent on the Disney film, Hotel Transylvania. 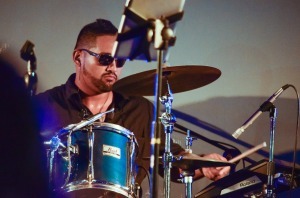 A musical composing animal and natural bass player, Ariki is the drummer for Greenstone Project and a founding member.